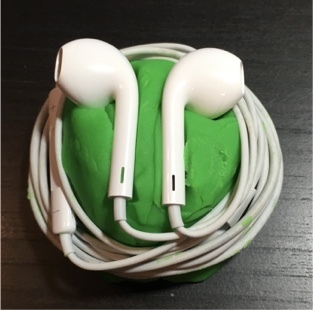 Disclaimer: I received a job offer from Apple Inc. as a direct result of this project. 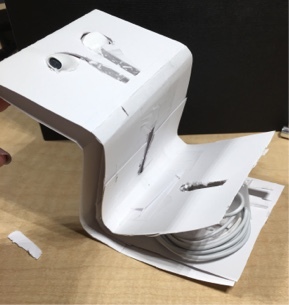 Goal: I was given a 2 week design challenge for a final round interview for the Product Design Engineer role at Apple, I was asked to redesign Apple EarPods Packaging from this generation packaging (seen above) originally shipped in thermoformed plastic. 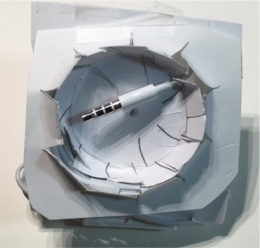 Find details on my design process from prototype to engineering analysis below. 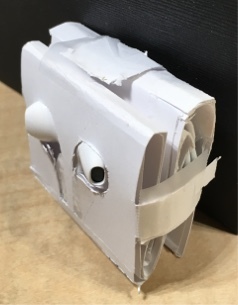 I visited 5 Apple Stores in the Bay Area to do customer interviews with consumers and the experts--Apple Store Representatives to find pros and cons of different products including the EarPods. Unclear to the user if EarPods plastic case is reusable or one that will be immediately thrown in the trash. Not intuitive how to take out EarPods from plastic thermoformed case. Exterior box much larger than the EarPods plastic case itself. Not very minimal. In iPhone box shipment, EarPods case is one of the last plastic packaging items. 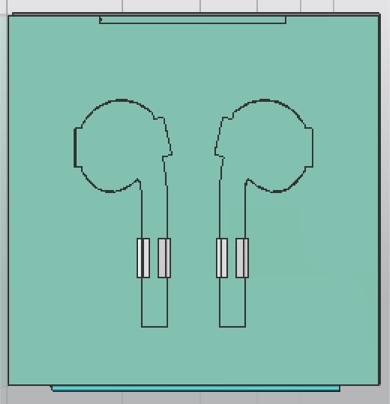 Due to the asymmetric EarPod form, I resorted to the use of slits and tabs to ensure tension was being placed on the earbuds through small tab cutouts. 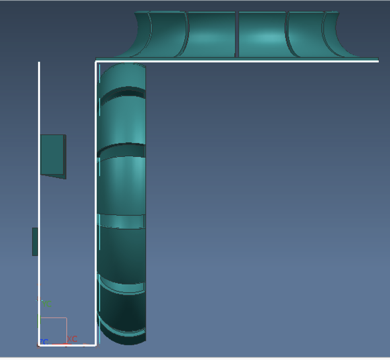 High internal shear and tensile forces will be present at the top and bottom of the remote where excess wire will be slotted behind the insert and the fold. 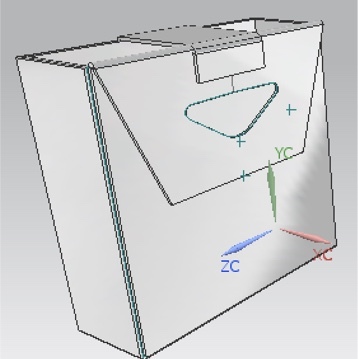 In order to ensure there is enough tension while reducing the tensile & shear forces in the package, I chose 45 degree angle cuts instead of perpendicular cuts for slotting the cables through since the tensile strength, bending moment stiffness of paper in MD is stronger than that in CD. Same positioning of EarPods for brand & product familiarity. Adding perforated hinge for more display possibilities across Apple retail stores and third-party sites.